Yadnya kasada ceremony time in Mount Bromo. Kasodo Ceremony or Festival Yadya Kasada is Tengger Tribal Tradition Ceremony located in Bromo Tengger Semeru National Park. It is a one-year ceremonial or ceremonial held on a full moon night. Kasada ceremony tour package in Mt Bromo that aims to select the customary elders in each village in the Mt Bromo tengger tribe as well as ritual ceremony offerings for Sang Hyang Widi as form of gratitude for the gift given to Mt Bromo Crater. 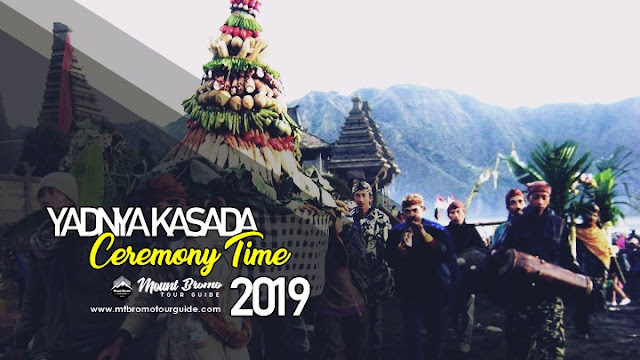 On this year, Kasada Mount Bromo ceremony was held on 17 - 18 July 2019, where the event will start the Kasada tour package on June 17th night located at Pura Luhur Poten located at the foot of Bromo. As a Hindu, the Tengger Tribe is not like Hindus in general, has temples as a place of worship in Bromo mountain, but if worship is held in punden, danyang and poten. Pura Luhur Poten Mt Bromo is a piece of land in the sea of ​​sand as the place for Bromo Kasada ceremony. As a place of worship for the Hinduism Bromo Tengger people, potency consists of several buildings arranged in a composition composition in the yard which is divided into three mandalas / zones. The Main Mandala is also called Viscera, which is the place for worship worship. The Mandala itself consists of Padma serves as a place of worship of the Almighty God. Padma is in the form of a temple that has been developed complete with pepalihan, does not use a roof consisting of parts of the foot called tepas, body / batur and head called sari equipped with Bedawang, Nala, Garuda, and Angsa. Nala Beawang depicts a giant turtle supporting padmasana, twisted by a dragon or two, eagle and geese flying position behind the body of the lotus, each of which according to mythology describes the majesty of the form and function of the padmasana. The Sekepat building (pole four) or the larger one is located on the side of the building with the worship / padmasana building, facing east or in accordance with the orientation of the worship building and open all four sides. Its function is to present ceremonial facilities or ceremonial activities. Pawedan Bale and shaman's place when worshiping. Kori Agung Candi Bentar, its shape is similar to a head monument using a quadrangular or multi-tiered multi-faceted crown with a rectangular or multi-sided square with sides around the front, middle or middle fathoms. The height of the building can range as big as or as high as a monument to about 100 meters, allowing it to be made higher by paying attention to the beauty of the proportion of the temple. The Middle Mandala is also called the middle jaba, the preparatory and ceremonial accompaniment consists of Kori Agung Candi Bentar, its shape is similar to a monument, its head uses a quadrangular crown or many-tiered facets shrinking upward with square buildings, rectangles or many facets with sides around one depa alit, middle depa, depa agung. Bale Kentongan, called bale kul-kul, is located in the front corner of the temple grounds, the shape of the tambour, batur, sari and roof covering the kul-kul / kentongan room. Its function is for a cul-cul place that is sounded at the beginning, end and a certain moment of the ceremonies. Bale Bengong, also called the sacred arm is located between middle jaba / middle mandala, mandala nista / side jaba. The shape of the building is four square or elongated row of two or two pillars or many building areas for the kitchen. Its function is to prepare the necessity for ceremonial offerings that need to be prepared at the temple which is generally far from the village where the settlement is. The Nista Mandala is also called the side jaba, which is a transitional place from the outside into the temple which consists of the temples of Bentar / other supporting buildings. The temple grounds are bordered by the front wall of the entrance gate or in the middle / side of the temple using the bentar temple and the entrance to the main inn is using the Kori Agung. The wall of Penyengker Candi Bentar and Kori Agung have various forms of variations and creations according to the beauty of the architecture. Temple buildings generally face west, entering the temple heading to the east as well as worship and worship facing east towards the rising sun. That is information about yadnya kasada ceremony tour time 2019. 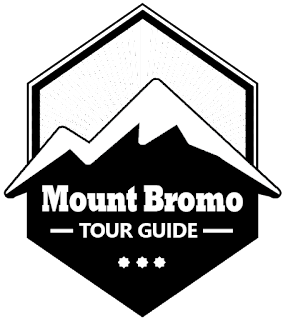 For detailed tour package information about price and accomodation of Mount Bromo tour package option, and tour package option, You can visit Our contact.